Wife of Friedrich “Fred” Langreder, married June 2, 1897. Friedrich was originally married to Mary’s Older sister: Alvina K Jessen, married Oct 9, 1889. To this union, Clara and Walter were born. Alvina died June 26, 1895. Mary married her second husband, Albert A Hinze, on July 31, 1941. Mary now rests with her first husband Fred Langreder and all three of her children, Charles, Alice and Mildred. 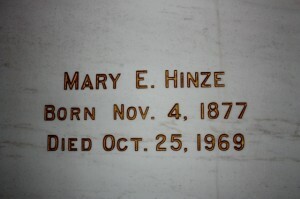 Mrs. Mary Emma Hinze, 91 of Beecher died Saturday, October 25, 1969 at the Bensonville Home in Peotone after a brief illness. 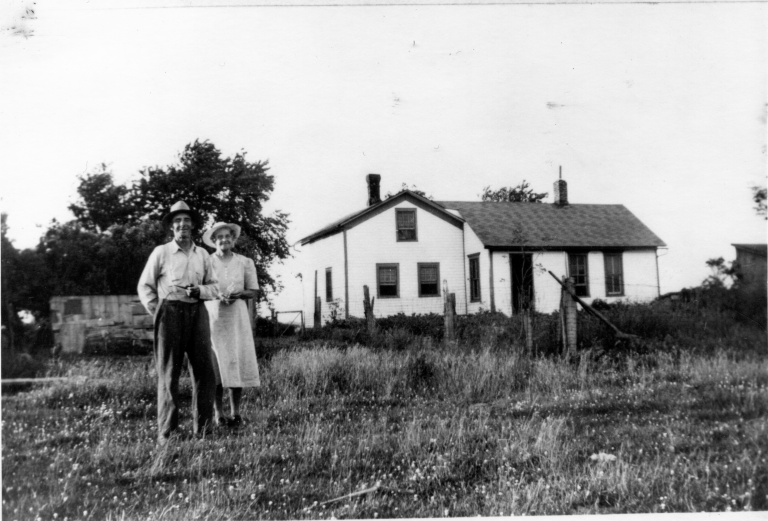 Mrs. Hinze, a life long resident of Beecher, lived the last five years at Bensonville Home. She was a member of the Royal Neighbors of America of Chicago Heights and St. Luke’s Church in Beecher. She was preceded in death by her parents, Mrs. and Mrs. Louis Jessen; her husband, Albert; a son, Charles; and a daughter, Mildred. 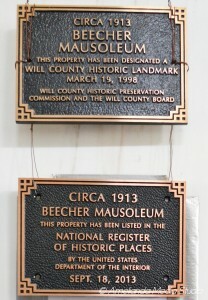 Surviving are a daughter, Mrs. Alice Leder of Peotone, and a sister, Mrs. Clara Scheer of Arlington Heights. Services were held at the Fredde-Helfrich Funeral Home with the Rev. Walter Coffey officiating. He was assisted by Mrs. Edwin Radtke, soloist, accompanied by Mrs. Robert Dubbert. Interment was at the Beecher Mausoleum with John Wieggel Sr., Walter Becker, Virgil Selk, Henry Kappe, Vern Unruh and Ray Stadt serving as pallbearers. This entry was posted in Automated Burial Listing, Burial Listing, Burial Location, HEADSTONE, Obituaries- Have Full Copy, Royal Neighborhoods of America, St. Luke's UCC - Beecher by Sandra. Bookmark the permalink.